My anticipation for the journey was obvious, and my exhaustion at the end of the hours-long road trip was real. 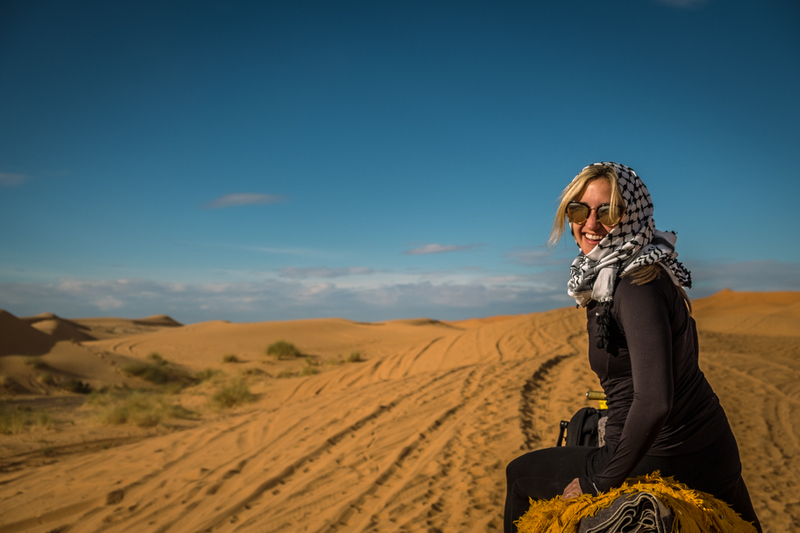 But it was what happened in the middle—the profound, life-affirming, soulful sense of gratitude that I felt watching the sunset over the sand dunes after riding a camel into the desert—that will stay with me forever. I still believe in paradise. But now at least I know it’s not some place you can look for. Because it’s not where you go. It’s how you feel for a moment in your life when you’re a part of something. And if you find that moment… it lasts forever. Let’s dive right into the sand dunes, shall we? Because I know that’s what I was most interested in when the journey began. 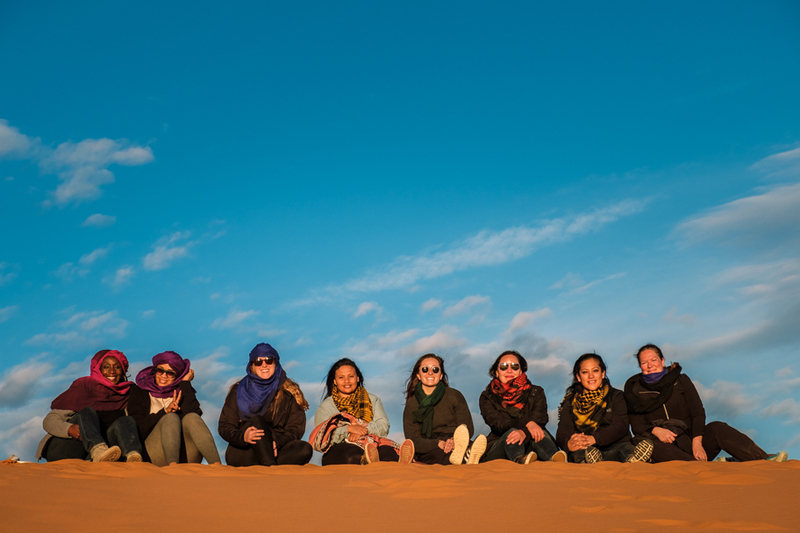 And yet, I was just as surprised as the rest of our #RYCurie travellers to learn that the Erg Chebbi sand dunes are a relatively small blip in the vastness of the Sahara Desert! I obviously had a Hollywood-induced perception of the entire Sahara Desert being covered in sand dunes. That is definitely not the case! 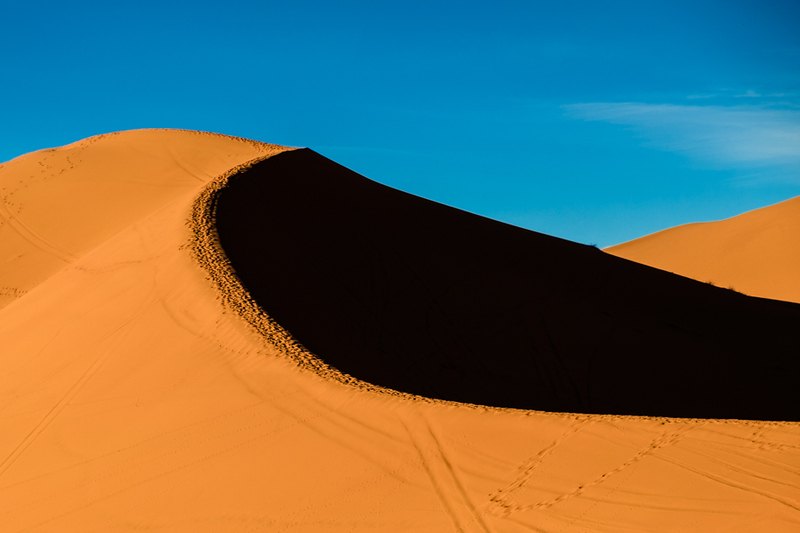 Did you know that, while the desert itself covers an area of 9,200,000 square kilometres, the Erg Chebbi sand dunes are only about 28 kilometers long by 5-7 kilometers wide. And, Wikipedia also notes that the sand dunes aren’t technically part of the Sahara but are located in the Pre-Saharan Steppes. Say what? Ok, I stand corrected. 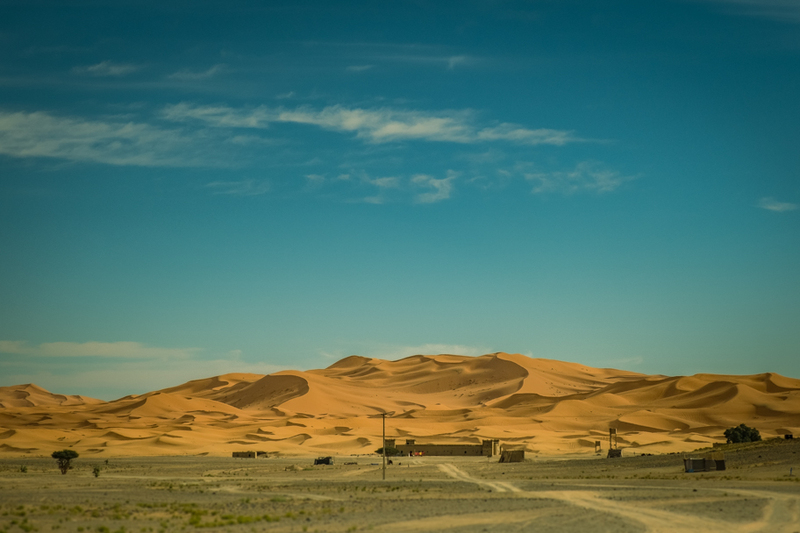 But the wind-blown sand dunes are still an impressive sight, especially after driving for hours across the hameda, or flat rocky desert landscape. First sighting of the Erg Chebbi sand dunes, seen across the hameda, near Merzouga, Morocco. I’ve always been captivated by photos of a sand dune with a sharp ridge, with light and shadow so prominent, so I was thrilled to capture my own! This is obviously a well-travelled dune, complete with footsteps and ATV tracks. I would have to travel much farther afield to find an untouched dune. Perhaps next time? 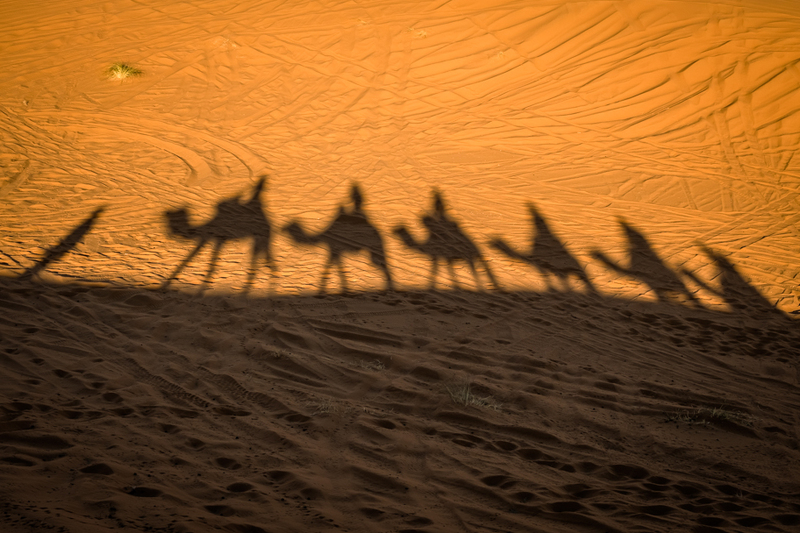 Overnight camel treks into the Sahara Desert are a hugely popular travel experience. 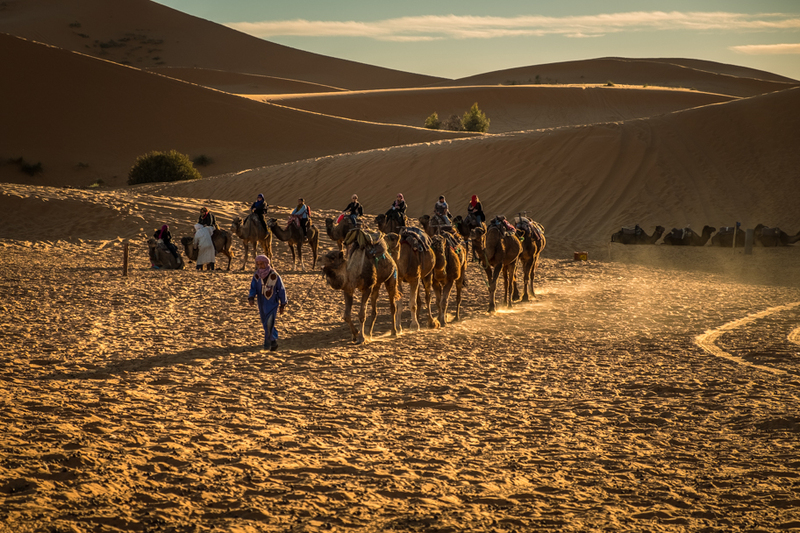 Hotels that cater to this insta-worthy travel phenomenon dot the landscape as you approach the city of Merzouga. And local Berber guides whisk you into a large tent to stay cool while you prepare for your much-anticipated trek. 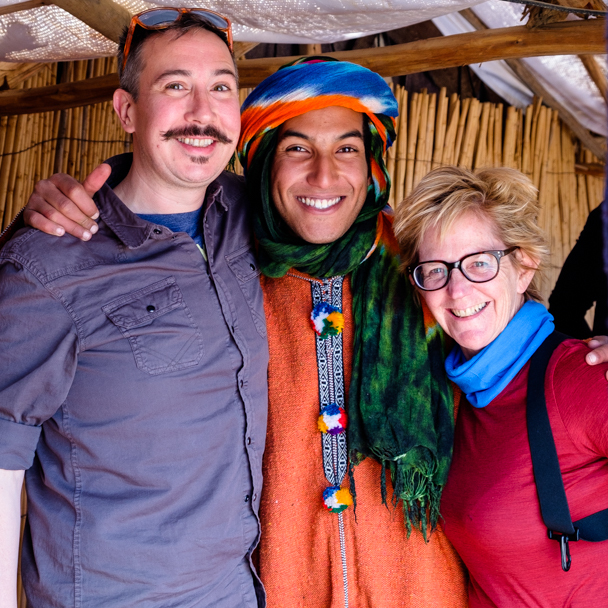 Ali, one of our native Berber tour guides, welcomes us to the shady tent to prepare for our upcoming camel trek into the overnight camp. Dylan, on the left, is one of my travel friends with Remote Year Curie. Nicole helps Alicia prepare for the camel ride through the sand dunes. 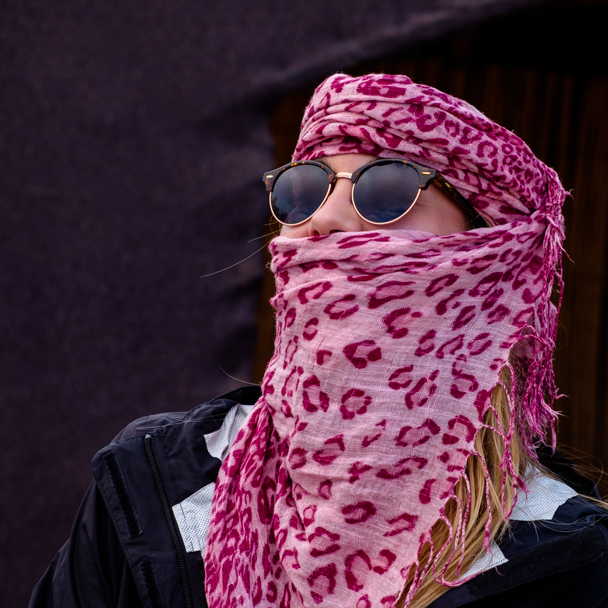 Head and face cover is essential to protect yourself from the relentless sun and potential sand storms. 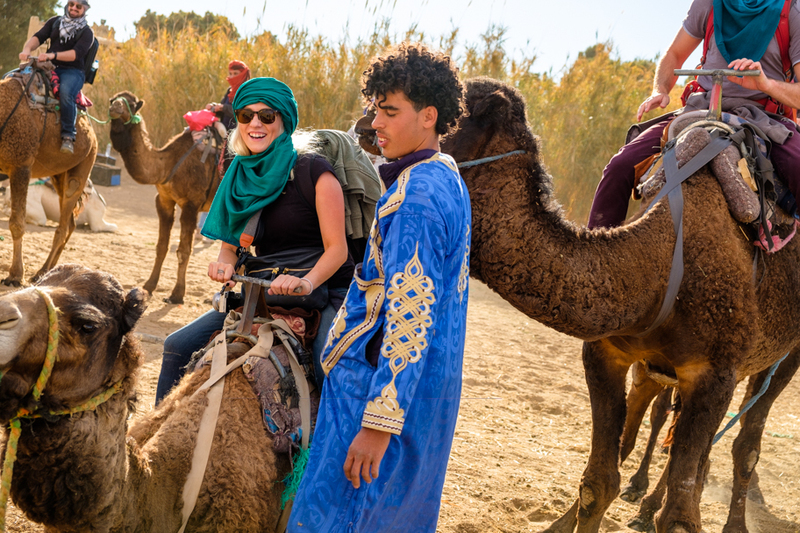 Beth learns that it can be a bit of a bumpy ride as her camel stands up. And we’re off! 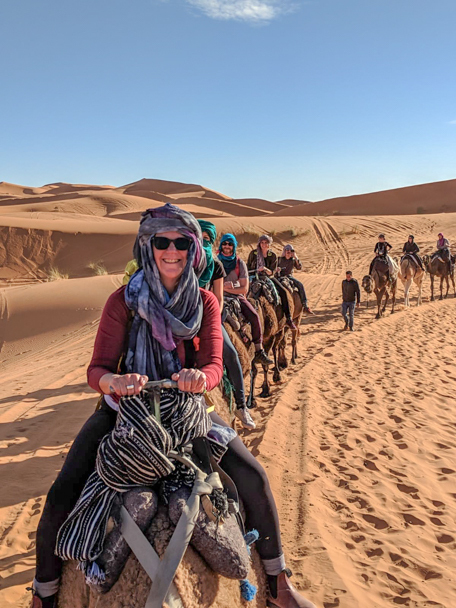 Heading into the complete unknown, we bump and grind our way for over an hour on the backs of our camels—oh wait, I also learned that these aren’t technically camels (two humps), but dromedaries (one hump)—but let’s put aside all technicalities for now. 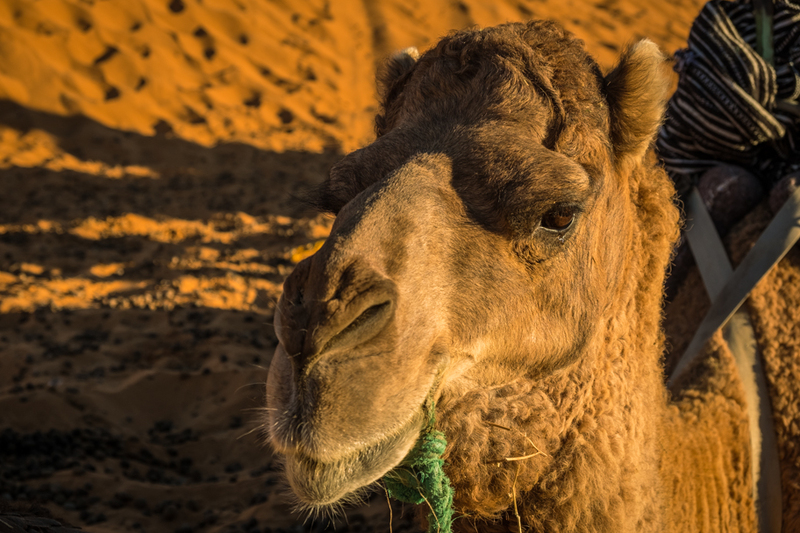 It just sounds better to say, “I rode a camel through the Sahara Desert” than “I rode a dromedary through the sand dunes that are in the Pre-Saharan Steppes”, don’t you think? 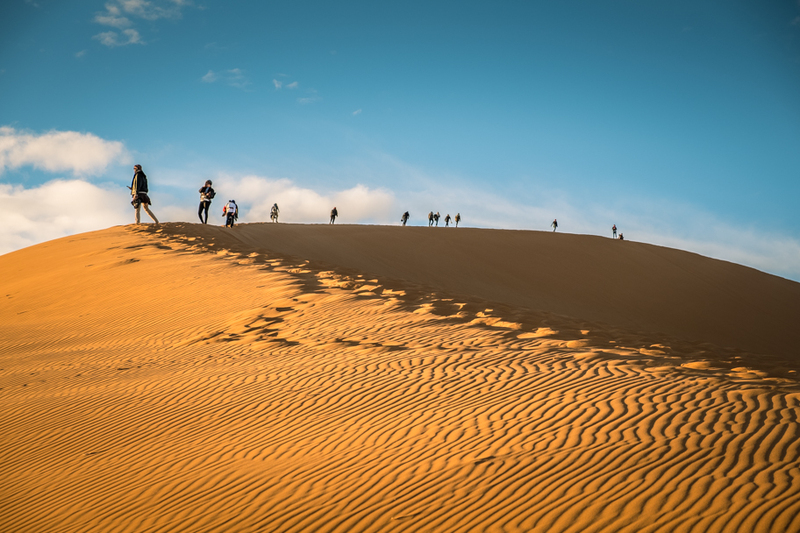 This next series of travel photos in the Erg Chebbi sand dunes reflect our journey from the outskirts of Merzouga, to the overnight camp about 75 minutes away. That’s me, near the front of a caravan of #RYCurie adventurers. Photo credit @carlykrei, who is featured in the photo above me. 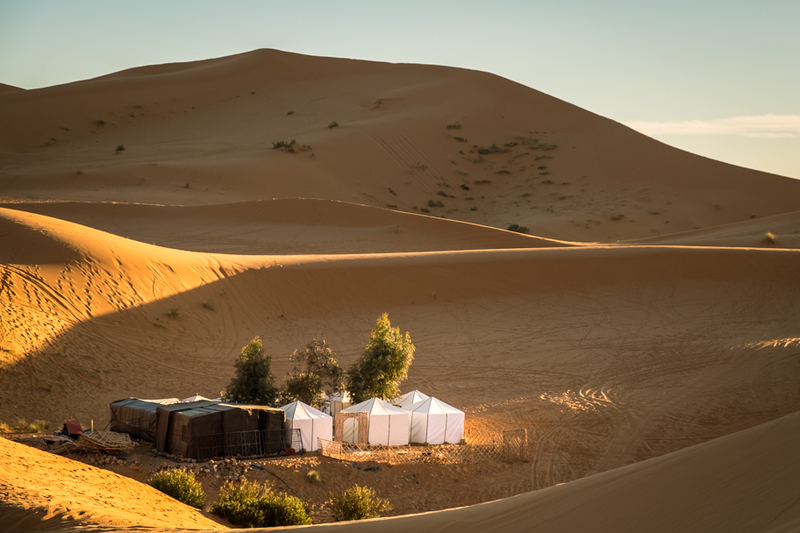 We hobbled off our camels, dropped our backpacks inside the camp walls, and scurried up a massive sand dune that had put our campsite into deep shade already. The sun was setting, and we needed to witness the spectacle. Scurrying up a massive sand dune isn’t easy! Igor, one of our Remote Curie travellers, stops for a quick rest before continuing the climb. I knew when embarking on this year-long journey that there were going to be moments of awe. I just didn’t know when. This was one of those moments. 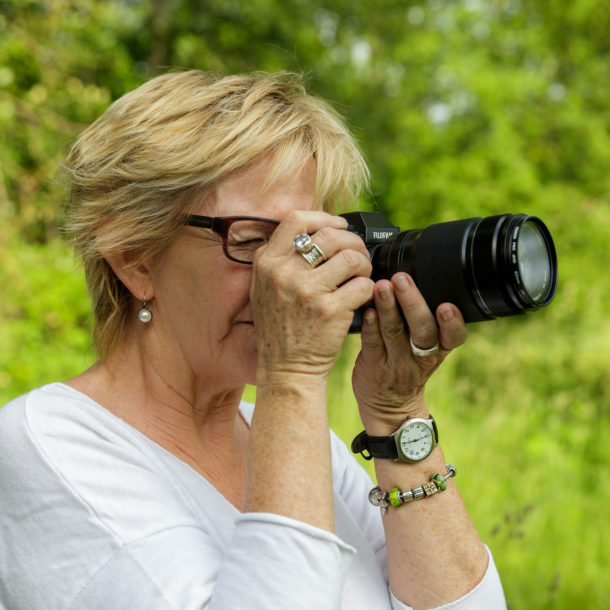 After I clicked the shutter to photograph all these amazing women, my new friends, I joined them and looked westward. I still can’t find words to describe the feelings I had watching the sun set over the Sahara sand dunes—even now my heart expands just thinking about it. I sincerely hope you get to experience something as profound in your lifetime too, at least once. 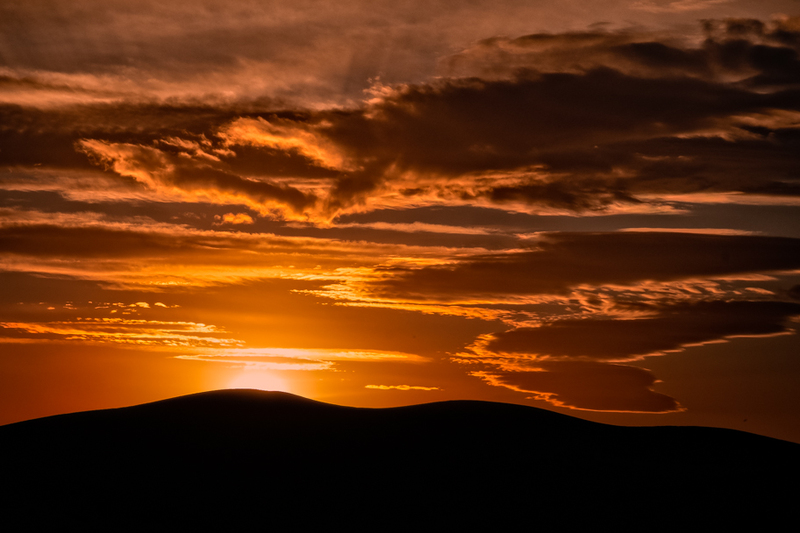 The sunset over the dunes took my breath away! And, as often happens to me in moments of intense emotion, I cried. Tears rolled down my cheeks. 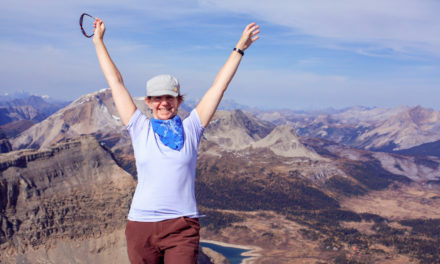 My friends’ concern quickly changed to a shared sense of joy when I blubbered out loud that I was simply feeling massive gratitude in that moment. The rest of the overnight desert experience happened in the dark so I’ll just tell you what we did: Tagine dinner in a large tent, a huge bonfire and more spontaneous African drumming, singing and dancing around the fire, midnight wanderings in the sand dunes under the light of a full moon, sleeping with all our clothes on under 3 massive blankets in a frigid tent for about 5 hours, and then getting roused really early, to get on a camel for the trek back to Merzouga—in the dark, cold pre-dawn desert. Am I complaining? Not a chance. We saw the sunrise and had a big buffet breakfast when we arrived back at the hotel. All was good, and more than memorable. I’ve always loved a road trip, and the chance to see the people and landscapes of Northern Africa intrigued me. A propensity for motion sickness gives me a bit of an advantage… I get to sit in the front seat of the van with wide sweeping views ahead of me. 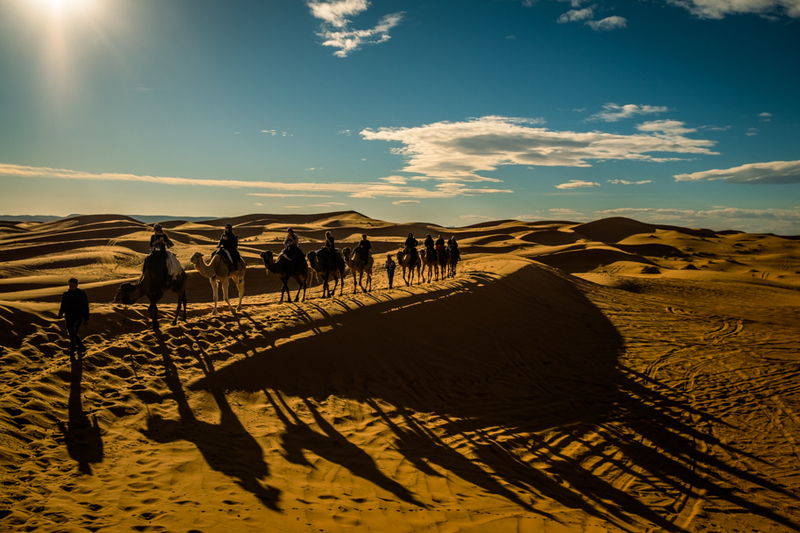 And wow, wide and sweeping are perfect words to describe the drive from Marrakech, through the High Atlas Mountains, the valleys in Ouarzazate Province in south-central Morocco, and then on to the Pre-Saharan Steppes to arrive in Merzouga. With about 24 hours in a vehicle that weekend, you can imagine how many photos I took. 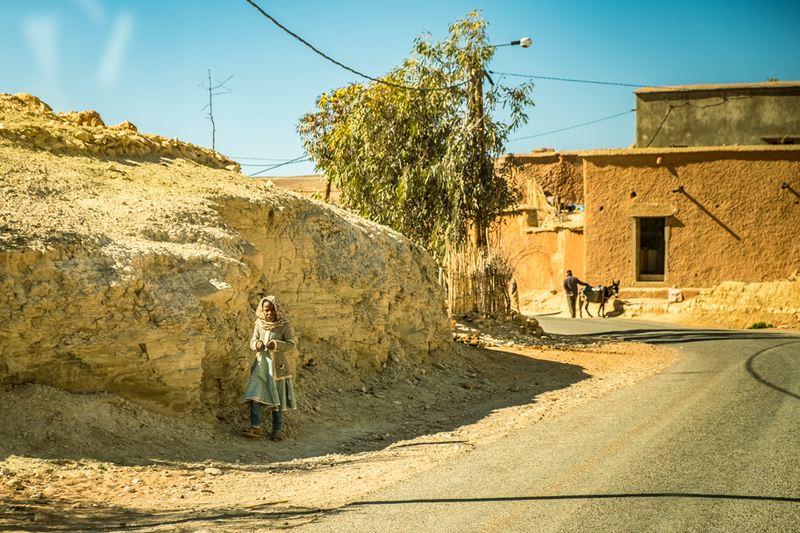 It was really difficult to choose a few to share here, but these, I hope, give you a sense of the vastness of the land and the resilience of the Berber people. 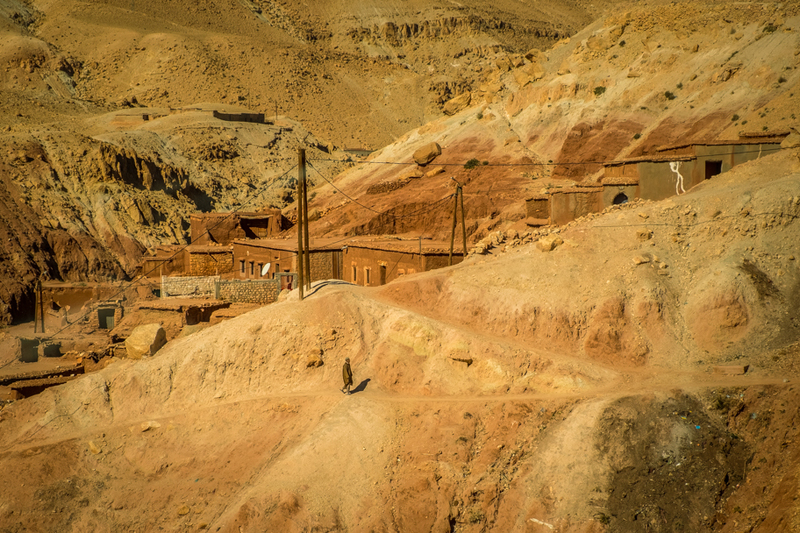 My previous blog includes photos in the High Atlas Mountains so I won’t repeat that. 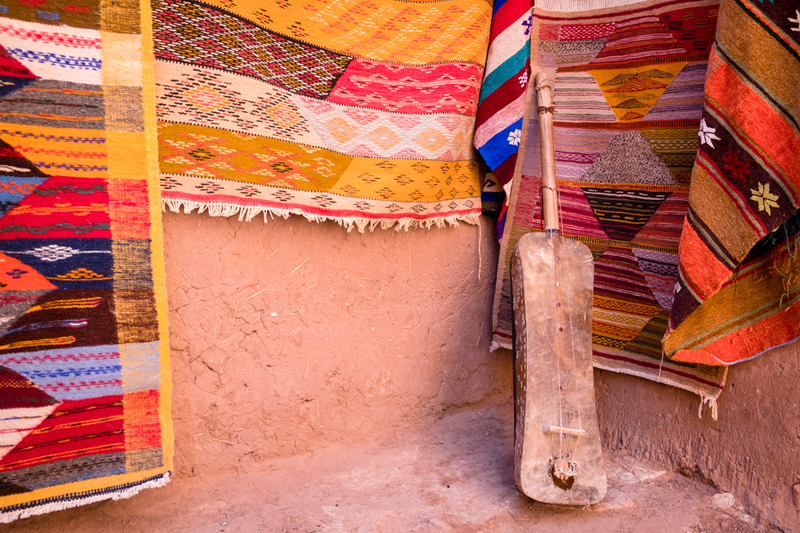 Let’s start this photo story in the Ouarzazate valley. 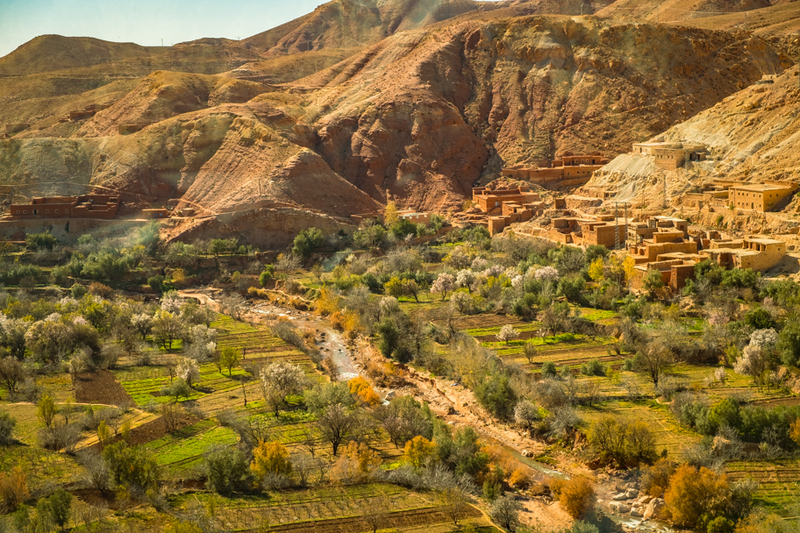 After hours driving through rocky terrain and desolate clay cliffs, it was a treat to see green growth in this fertile oasis valley in Ouarzazate Province. I was struck by the harsh, sparse habitations that seemingly popped out of nowhere—around a bend in the road, or out of a cliff below. And I saw so many solo wanderers, I just had to wonder… where did they come from, and where were they going? 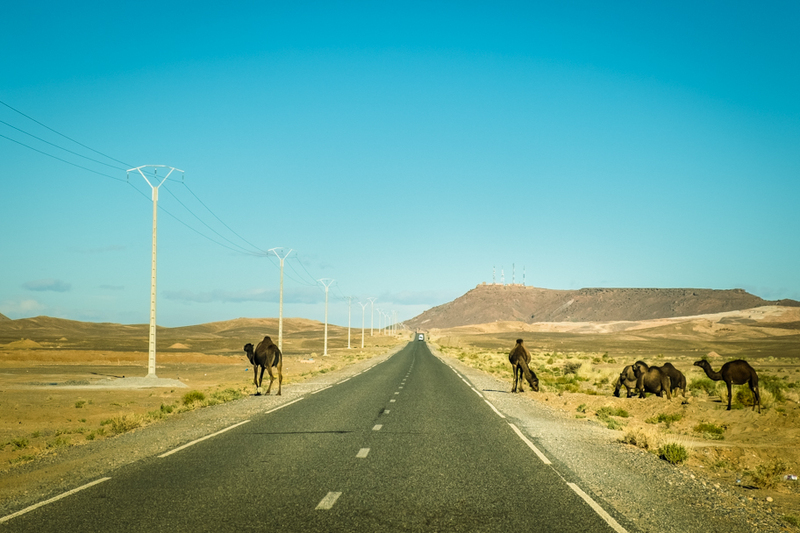 These next two images are typical scenes along the highway that winds its way through Ouarzazate Province, Morocco. Is this the children’s playground? Ksar Ait Ben Haddou is a Unesco World Heritage Centre and a great example of southern Moroccan architecture. 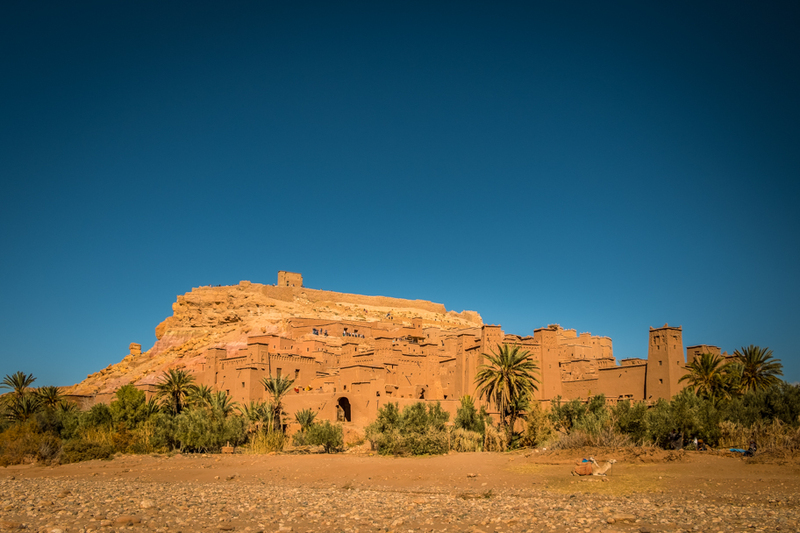 A ksar is a group of earthen buildings surrounded by high walls. If you look closely, you can see a camel (dromedary) in the lower right corner, but it blends in well. This ancient structure is a Hollywood favourite location for movies and TV series. Game of Throne fans flock here now to get their insta-stories. 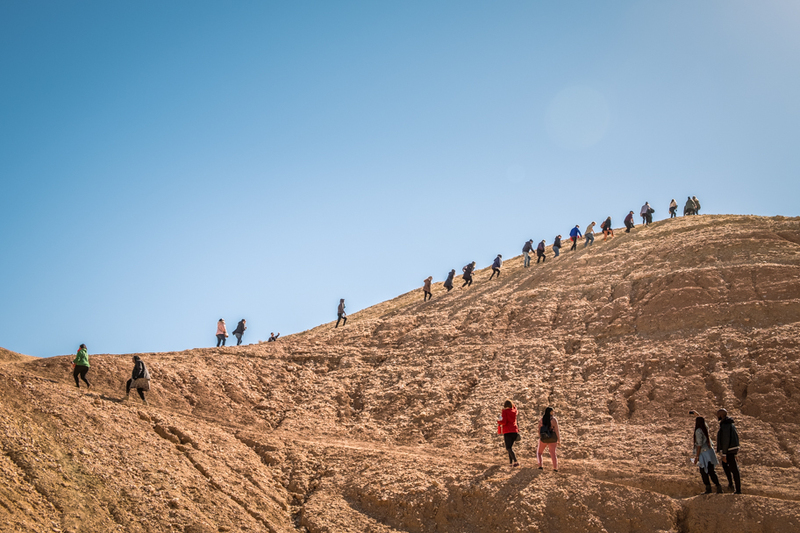 Our group of intrepid #RYCurie travellers scramble up a nearby clay hill to get a better view of Ksar Ait Ben Haddou. Inside the walls of Ksar Ait Ben Haddou you will find few residents, and only a handful of vendors of Berber arts & crafts. 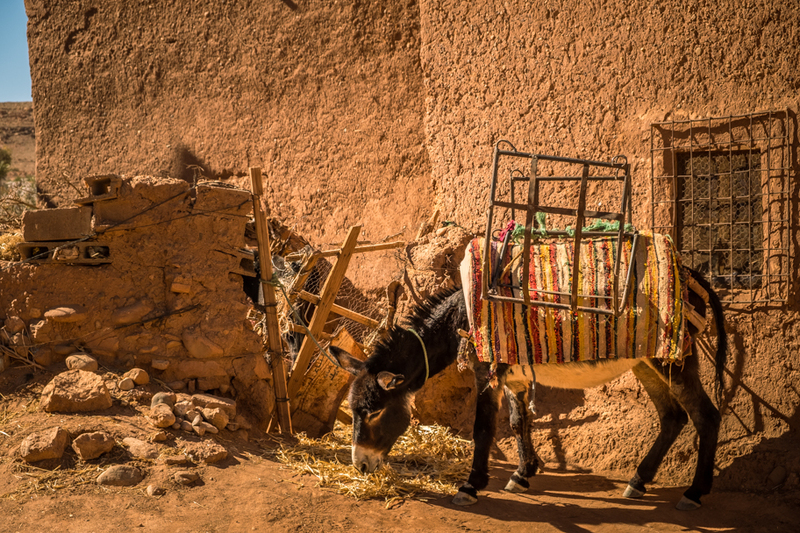 Just outside the walls of Ksar Ait Ben Haddou a donkey awaits a heavy load to carry somewhere. 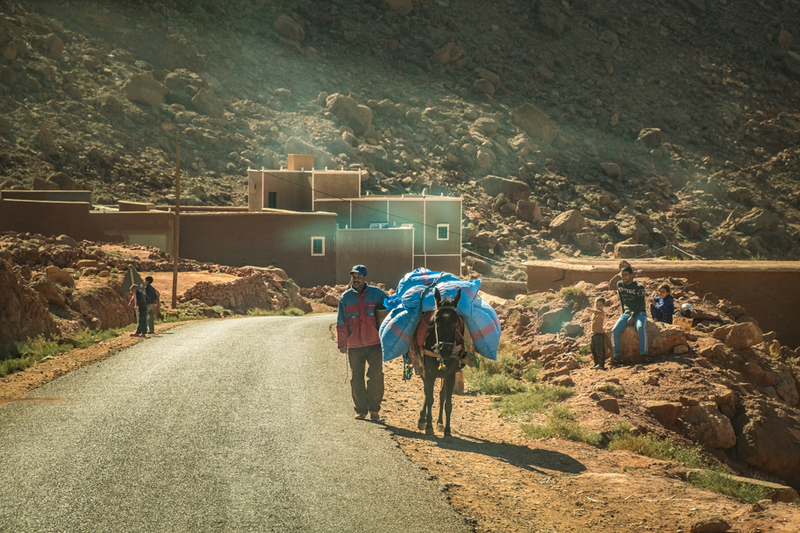 The donkey is a primary mode of transporting goods in Morocco. I was really surprised to see how many other hotel guests arrived in the large dining room for tagine dinner! The highways didn’t seem so busy. 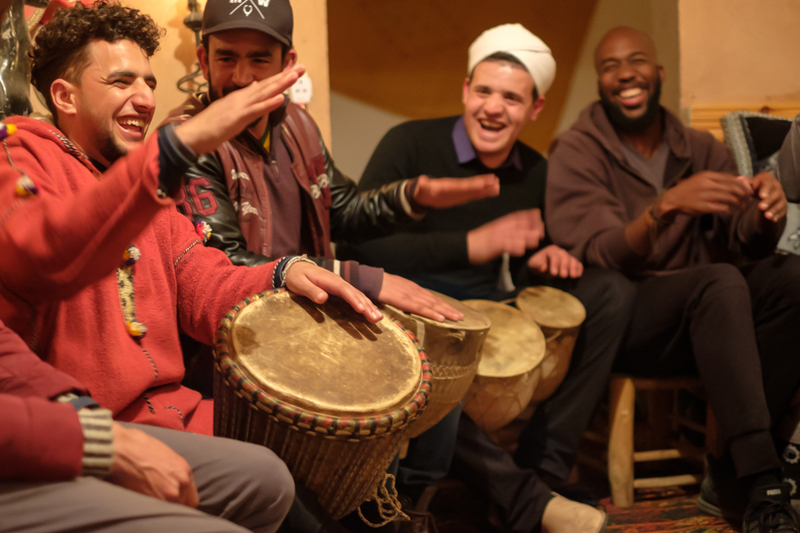 We were treated after dinner to a musical jam session by some of the hotel staff, a group of very talented Berber musicians and singers! 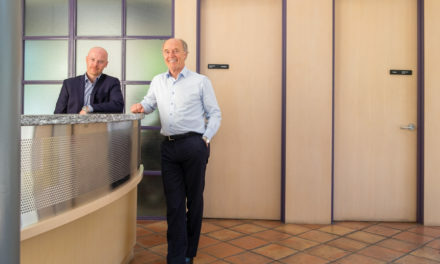 You can tell by the smiles that fun was had by all! After our stint overnight in the desert, it was a long 12-hour, one-day road trip back home to Marrakech from Merzouga. Many of us slept, but when I was awake I was observing, as I always do. Here are a few final shots from our #RYCurie weekend in the Sahara Desert. Another one of those roadside scenes that piqued my curiosity. 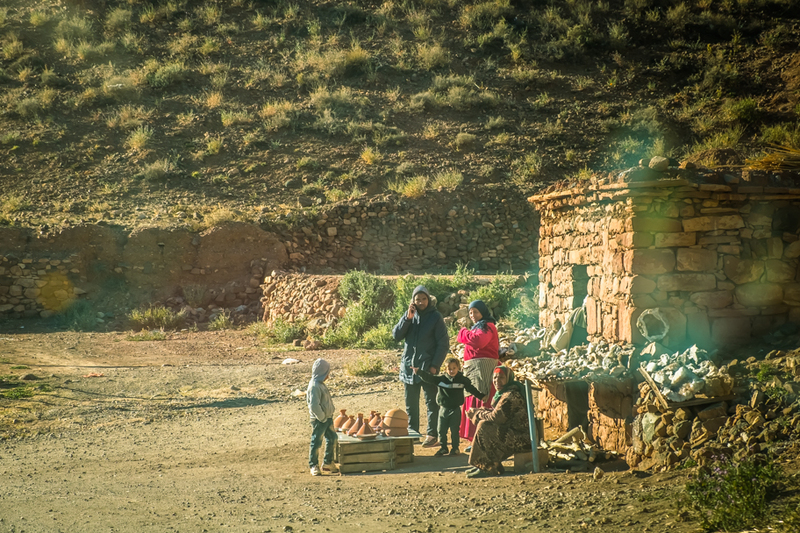 Here’s a Berber family, looks like 3 generations, sitting on the road pretty much in the middle of nowhere, somewhere between Merzouga and Marrakech. But they are merchants, which is the standard Moroccan profession, selling tagine vessels and crystals. I was fascinated by scenes like this, it’s such a different lifestyle than what I know in North America. At first glance, you wouldn’t think this image is unusual, other than the remoteness of the location. But, I just had to grab this shot quickly before we rounded another corner. Why? Because public displays of affection in Morocco are not acceptable, according to cultural norms. And the more rural you are, the more PDAs are frowned on. I guess this young couple chose this remote location for one purpose, to be away from prying eyes. Thank you for hanging in with me on this story. It’s a long one. And it took me a long time to get to a place in my mind where I could dig back into the vast collection of photos and memories from that monumental weekend in the Sahara Desert. Having profound moments of awe and gratitude are challenging to describe. When emotions are that intense, mere words don’t seem to have enough depth to express them. 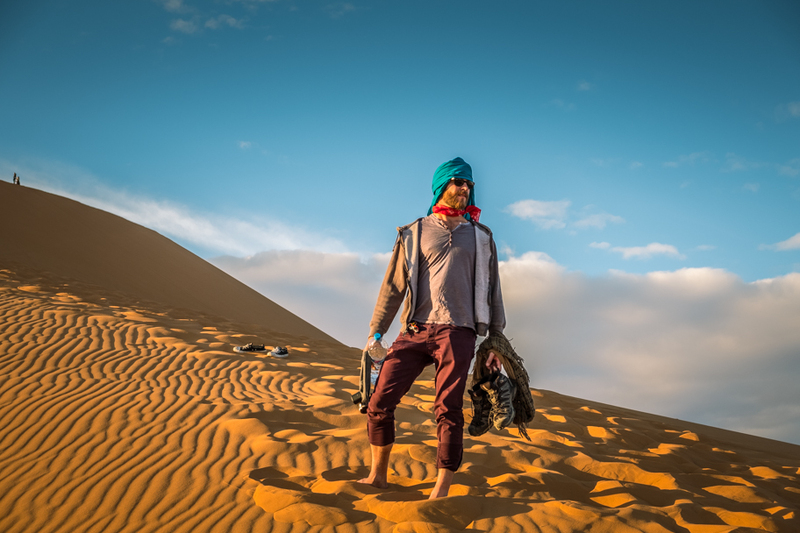 I hope my photos convey the magnitude of the Sahara travel experience. And I truly hope someday you can experience the same. 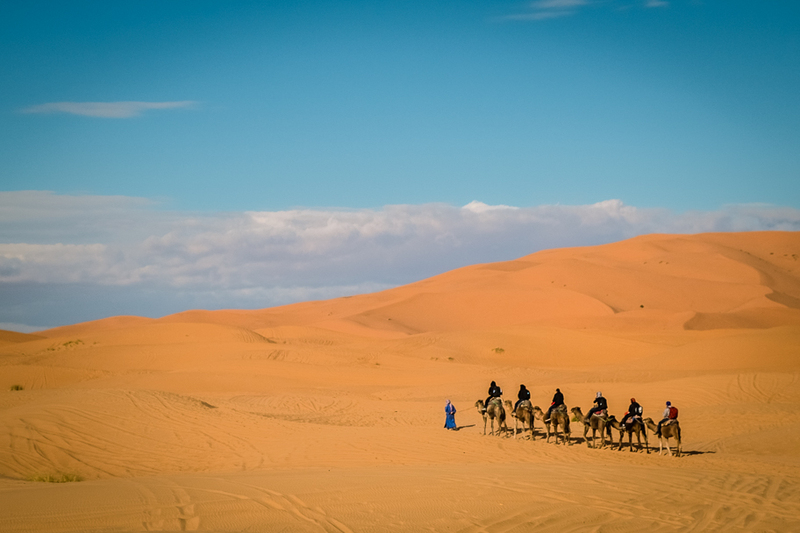 Please share your comments about these Sahara Desert #travelphotos! Drop me a message in the comments below. 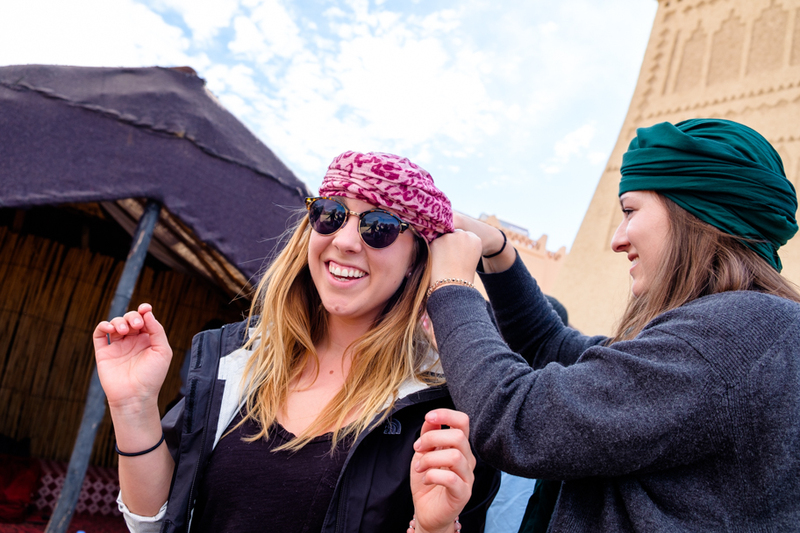 Did you miss the first week in Marrakech? Want to see where my year-long journey started? 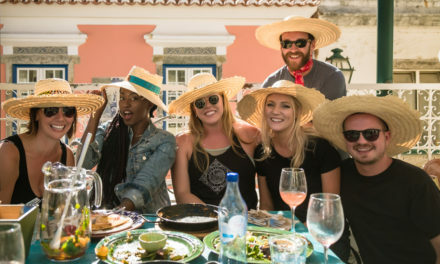 Go back to the beginning in Lisbon, Portugal. Miss you too Irene! There are so many moments when I wish my Langley photography friends were with me. Such amazing times and photo opps! I don’t have words either Barbara, but I do know there is a reason you are making this trip – on behalf of so many of us who are in different paths. I know your photos are taken from your “heart eyes” so we are getting the best remote experience of your Remote Year possible.